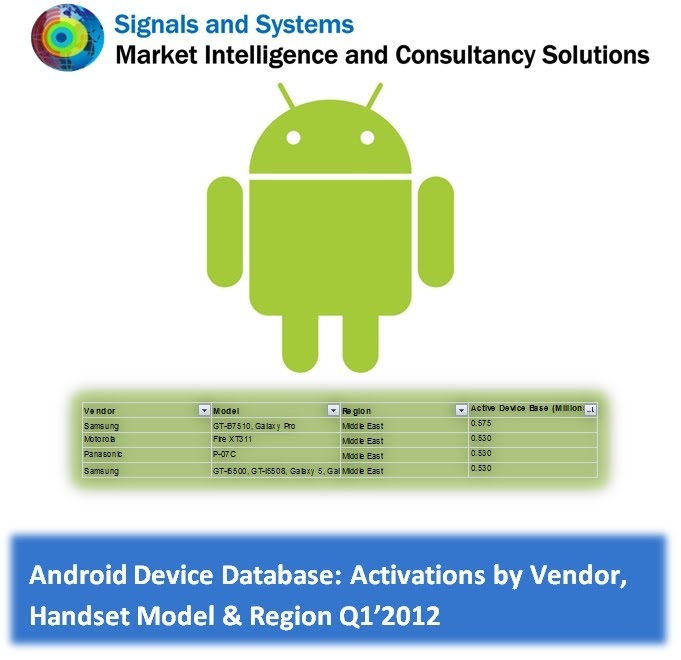 Synopsis: Covering over 46 device vendors and all legitimate Android device models till date, this XLS database tracks Android activations by individual device model, vendor and region. The target audience for this report includes handset manufacturers, application developers and mobile network operators. All variants of particular device series are individually covered in the database. As an example, for the Samsung Galaxy S series, the GT-i7500, Galaxy, GT-i9000, Galaxy S, GT-i9100, Galaxy S II, Galaxy S II LTE and all other individual variations are covered individually.